Letter & pictures – Every au pair is presented to you with an introduction letter, pictures and a complete application form. You will see that many candidates make a real effort to write a lovely personal letter. References – Our au pairs have references from childcare experiences such as babysitting, work experience, helping with homework or in sports clubs. Additional reference may include a Character reference. Medical check – The medical check for au pairs includes questions about serious medical conditions and allergies. It will be signed by a medical professional. Police check – The background check for au pairs includes a Police clearance from their home country. Upon arrival in Australia, your au pair will apply for the local Working WIth Children’s Check relevant to your state or Territory. If you want the best for your family, you need your au pair to be pre-sceened by professionals. We have a close relationship with our screening partners and many have visited our offices in Sydney to learn more about the Au Pair in Australia program. 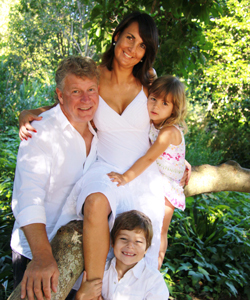 Approved au pair agencies in source countries perform rigorous screening and preparation. Long before au pairs are introduced to your family, our trusted partner has reviewed her application. We are passionate about Cultural Exchange and our partner agencies follow the strictest code of conduct in our industry as we are members of the International Au Pair Agencies Association, IAPA. Our agencies overseas will provide each au pair applicant with the necessary preparation and training in her own language and assist her throughout the interviews and also once placed. We pre-screen to ensure the au pair qualifies to travel to Australia on a Working Holiday Visa. Her agency will assist with visa application, gap year travel insurance and flights to Australia.